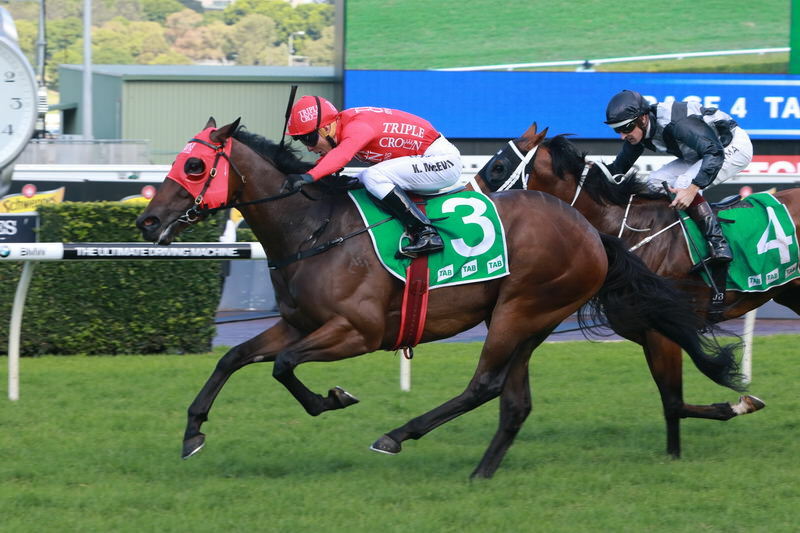 REDZEL tuned up for a crack at the $10 Million The Everest on October 14 with a sparkling trial win at Rosehill on Tuesday morning. Run on the course proper, Redzel jumped smartly under race rider Kerrin McEvoy and tracked the early leader Gambler’s Blues before proving too strong in the straight, winning the trial by a comfortable half length, with fellow Everest contender Deploy a further four and a half lengths back in third. Redzel is a current $6 chance for TAB-sponsored Everest after winning the Group 3 Concorde Stakes and Group 2 The Shorts this preparation. The hit out was the perfect lead up for the richest race on turf, and trainer Peter Snowden says he’s on the right track for a big performance at Royal Randwick. “That was just what we wanted to see leading up to the race Saturday week,” said Snowden. “It was just perfect; he jumped, had something to chase down and pinned his ears back without having any pressure applied to him.